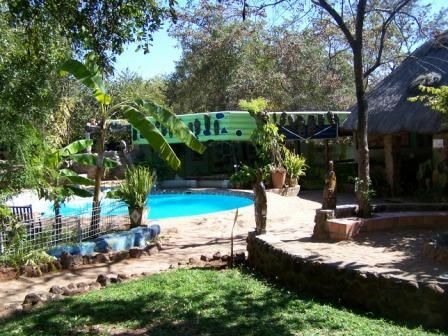 Welcome to Victoria Falls Backpackers ! !Your home away from home. 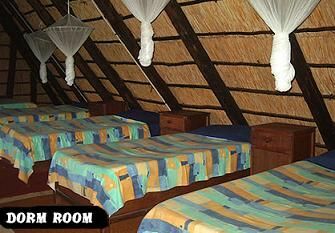 Capture the exotic flair of Zimbabwean culture and indigenous art with affordable comfort and friendly service. Our eye catching accommodation is scattered across our luscious garden of which our swimming pool and fire place forms the center piece providing a delightful setting for interacting with other travelers or to simply relax.We are recommended by: Lonely Planet, Rough Guide & Let's Go as well as all our previous guests.Double rooms, En-suite, dorms and camping available, only a short walk from town, (2.5 km), we can also arrange taxis and airport pick-ups. All activities booked include transport to and from the lodge or town. Although a bit further out of town, it is a very quiet, peaceful area next to the national park, we often have elephants visiting us or hear the lions and hyenas in the morning hours.It is advisable to travel with cash into Zimbabwe and not only a credit card. 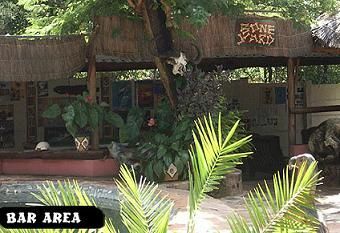 Let us know if you need any additional information on prices /packages or visas.Our Facilities include:-Adventure center - Best advice and activity packages !! Jump of the bridge or ride an elephant ! !- Car Parking Available- Platform with view of the Mosi-Oa-Tunya (Smoke that thunders)- Beautiful Garden- Swimming Pool- Laundry Service- Linen provided- No towels provided (En-suites rooms only)- Mosquito Nets- Video / Lounge Area- Nightly Boma Fire-Child friendly- Bush Cafe- Safety boxes- Self catering kitchenTravel Tip ! !When preparing to travel, lay out all your clothes and all your money. Then take half the clothes and twice the money. Follow the signs to 357 Gibson RoadWe can organize transfers from the airport - PRE- BOOK,cost USD15 pp one way.